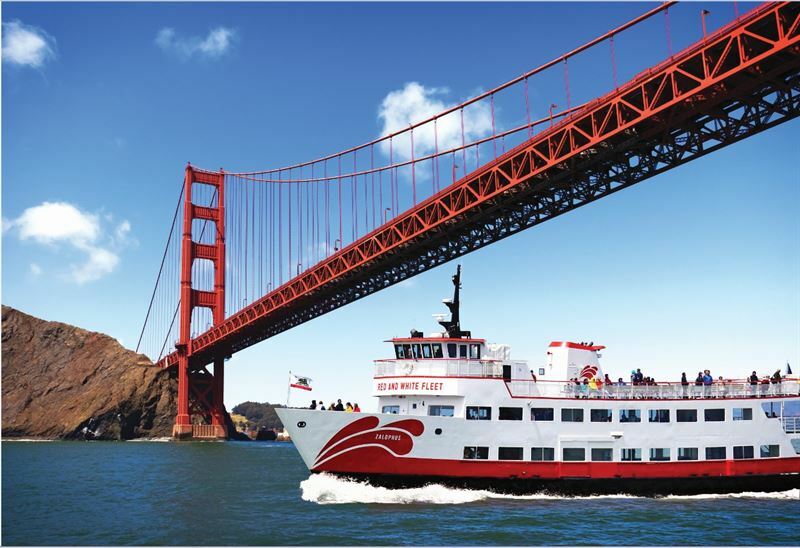 A sightseeing cruise company Red and White Fleet operating in the San Francisco Bay Area, California switches its entire fleet of vessels from operating on conventional diesel to using 100% Neste MY Renewable Diesel™. Neste MY Renewable Diesel is a low-carbon fuel that cuts greenhouse gas emissions by up to 80% and enables reductions in engine-out emissions while enhancing fleet performance. Neste MY Renewable Diesel is a drop-in alternative to conventional diesel and is distributed via the same fuel infrastructure. The City of San Francisco and a number of public transit agencies supported Red and White Fleet’s research and transition to renewable diesel during which the company found absolutely no disruption to any aspects of their operation, from fueling procedures and maintenance intervals to vessel performance and costs. In addition, they observed clean stack emissions and longer fuel filter life. Red and White Fleet, founded in 1892, is San Francisco’s first and original boat cruise company and one of the oldest businesses in the Bay area. The company operates sightseeing tours of the San Francisco Bay Area in 16 different languages.